Richard Niver resides in the San Francisco Bay Area, where he provides ERP and SaaS business consulting services to Silicon Valley companies, as well as to organizations throughout the United States, Europe, and Asia. He is focused on using technology to support HR Shared Services and improve HR Service Delivery. Since 2009, Mr. Niver has been a consultant specializing in HR Services Delivery, primarily HRIS operations for Shared Service organizations, and Software as a Service. His recent clients include Vanguard, Expedia, TripAdvisor, Netflix, eBay, Kaiser Permanente, and Guidewire Software. Mr. Niver began his career managing data center operations for ADP Dealer Services in Atlanta. Later moving to the Bay Area, he became involved in the fledgling multi-user on-line mini-computer industry dedicated to running small and medium-sized businesses. With John West and Bruce Massey, Mr. Niver co-founded User Based Systems in San Franciso, a consulting firm specializing in the development of custom small business and local government software on multi-value platforms. 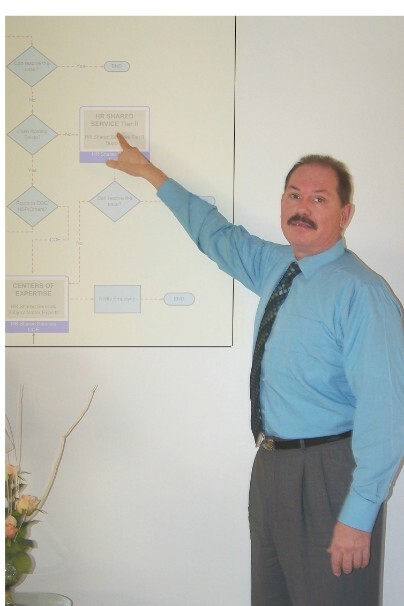 As a principal consultant for User Based Systems, Mr. Niver designed, developed, and implemented custom business software systems for a diverse clientele including school districts, industrial distribution companies, process and discrete manufacturers, casualty insurance, oil and gas exploration, retail and catalog sales, and many others. After more than 10 years with User based Systems and other consutling firms, Mr. Niver spent several years working directly with industry-leading software technology companies such as Sybase and PeopleSoft before returning to business systems consulting. As a Practice Manager for ARINSO, a multinational ERP consulting firm based in Belgium, he provded business software solutions to multinational companies such as Unilever, Logitech, and Kerr McGee. Mr. Niver joined Fujitsu America in 2005. At Fujitsu America, he directed the HRIS PeoleSoft Shared Services supporting 14 Fujitsu affiliate companies in North Americam for four years. Under his direction, the Shared Services expanded their service offerings and tripled the number of employees served -- consolidating operations, standardizing procedures, and automating processes. For the past three years, Mr. Niver has implemented Workday for companies in multiple industries including financial investment, interstate trucking, and internet content providers. He is currently available to assist new Workday users.